BlueStar is a smartphone app that helps diabetics track their glucose readings, analyzing patients' blood glucose readings and coaching them on medical and behavioral changes they can make to minimize the disease's impact. But good luck finding a download link on BlueStar's site—it's the world's first prescription-only smartphone app. That may sound strange, but it actually makes a lot of sense. 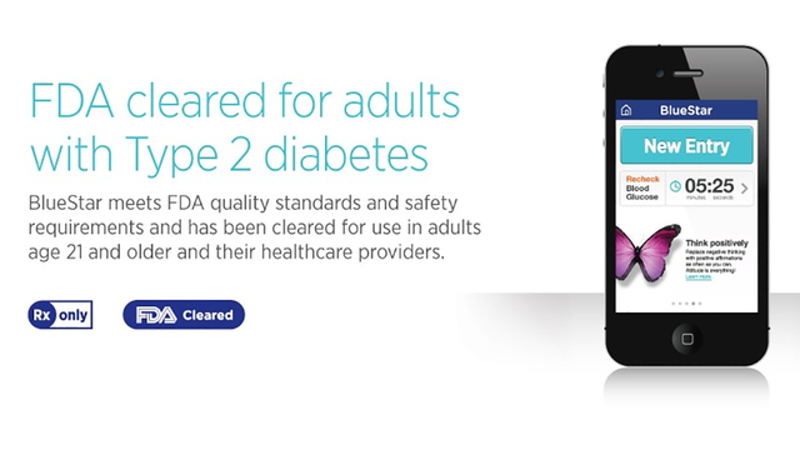 Since BlueStar gives patients recommendations on the dosing and timing of their diabetes meds, it had to be approved by the FDA, unlike activity tracking apps that don't have to do with diagnosis or treatment. It's not a stand-alone app either—the patient's doctor designs a diabetes care strategy, and the app helps keep the patient on target. And since it's prescription-only, a patient's health insurance will likely pick up the cost.